Information, news, tips, and trends seen in restaurants and other food service industries. Hot water heater information for restaurants and restaurant owners including moeny saving tips, energy saving tips, restaurant trends, hot water equipment needs, and more. More industry tips on running your restaurants more efficiently, reducing water costs, energy costs, and increasing profits, and other industry trends to grow your business. 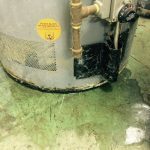 Reliable Water Services provides hot water equipment rentals and service plans for restaurants and other food services industries in Southeastern Wisconsin, Indiana, and other areas of the upper Midwest. In the restaurant industry, trendy food fads constantly emerge. It’s important for business owners to educate themselves on what works and, most importantly, what doesn’t. As a restaurant owner, you already know the competition is fierce in the food and beverage industry. Implementing trendy food choices for your establishment might seem like the perfect way to leverage your business. But before giving the green light, educate yourself on the risks and rewards of jumping on the bandwagon. The reality is, many trendy food fads end up doing more harm than good for your business and reputation. Here are the three biggest reasons trendy food fails and why it’s crucial to stay true to your style. The look of your restaurant has a big impact on customers’ dining experience, the way they feel about your food, and the likelihood of repeat business. As a restaurant owner, your food is critically important, but it’s the design components of your restaurant décor that truly make dining an experience that customers will remember. The ambiance of your dining room directly influences a customer’s impression of you. All the little elements, from the pictures on the wall to the light fixtures and paint colors, will contribute to the experience of your patrons. As a restaurateur, you already know the food and beverage industry is incredibly competitive and demanding; implement these great restaurant décor ideas to help you make a great impression. Here’s why you should put thought and effort into creating a restaurant menu that’s beautiful. When patrons sit down, the first thing they look at is your menu. While you may be focused on the food, the atmosphere, and the excellent service, there’s a good argument for making a strong first impression. Think of a menu as an important piece of advertising that showcases your restaurant’s brand. Some menus are striking, eye-catching, and beautifully designed. Others are barely memorable. A menu only has a small window of time to make a big impact, so put effort into creating a menu that will wow your clientele and gets them excited about your food! The competition within the culinary industry is fierce! It’s not always easy to come up with creative marketing ideas for restaurants. As a restaurant owner, you have a lot on your plate and marketing is just a small slice of your business. But it’s an important one that’s key to getting more customers in the door. If you’re looking for some effective and creative marketing strategies for your restaurant, here are 6 marketing ideas for restaurants that want to stay ahead of the curve. Feedback found on restaurant review sites can greatly hurt or help your business. Here is why a good review matters and which sites you should pay attention to. Restaurant review sites influence diners and their opinion of you. In fact, 77% of customers care more about online reviews than they do about reviews from professional critics. With the culture of influencers and social media, an endorsement online can make or break your establishment. Word of mouth is no longer enough—you must pay attention to your online reputation. Here are the most popular restaurant review sites you should be checking out and why it’s so important. Running a restaurant is tough and burnout amongst staff is common. Restaurant jobs aren’t for the faint of heart. Kitchens bring on the heat and pressure and not only for the food. Staff burnout and mental health issues are rampant in the hospitality world. Restaurant owners and managers must form a tight bond with their crew to foster a healthy (and sane) work environment. If you want to protect yourself and your staff, you need to help everyone maintain a work life balance in the restaurant industry. Social media for restaurants is important. Here’s how to set your establishment apart from others in the food industry! Social media is vital for a restaurant’s success. 94% of people say a bad review has prevented them from a visit. Social media lets you take control of your online reputation and show customers the delicious meals you’re serving up. Your patrons’ impression begins long before they dine with you. Social media for restaurants drives business and marketing. Create a positive social media presence for your business to connect with customers and bring ‘em in! Customer satisfaction is crucial. Here are 5 ways to keep your customers satisfied with their dining experience. Providing patrons with a stellar dining experience is what truly sets great restaurants apart. In the competitive food and hospitality industry, any opportunity to offer a distinctive and memorable meal will help you stand out and succeed. From fine dining to themed restaurants with a special niche, it’s ultimately the customer’s experience and satisfaction that matter most.